Here at USB, we strive to make life better for our community in more ways than providing great banking services alone. 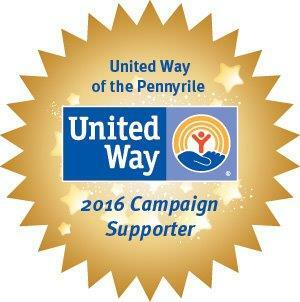 That is why we are proud to be campaign supporters for United Way of the Pennyrile. United Way is working to advance the common good by focusing on education, income and health. These are the building blocks for a good life-a quality education that leads to a stable job, enough income to support a family through retirement, and good health. Our vision for the Pennyrile in the next ten years is to have a community where children successfully complete high school, families are financially stable and independent, and people live healthy lives. These are goals that we can really get behind! United Southern Bank is honored to partner with the United Way of the Pennyrile as we work together to, “inspire hope and create opportunities for a better tomorrow.” To learn more about this wonderful organization and how you too can help, click here.